Applications for the 2018 Launch Competition are now open. We're seeking exceptional entrepreneurs and startups with high-growth potential and disruptive technologies. We're looking for local entrepreneurs, FAU students, and FAU faculty and staff ventures. The top seven companies will be awarded $15,000 in cash grants. All 21 winners receive 16-weeks of entrepreneurial bootcamp training, world-class mentoring, free working space for one year and much more. ﻿ Applications are due by March 9. To view the full list of program benefits, competition resources and to submit your application, click the link below. 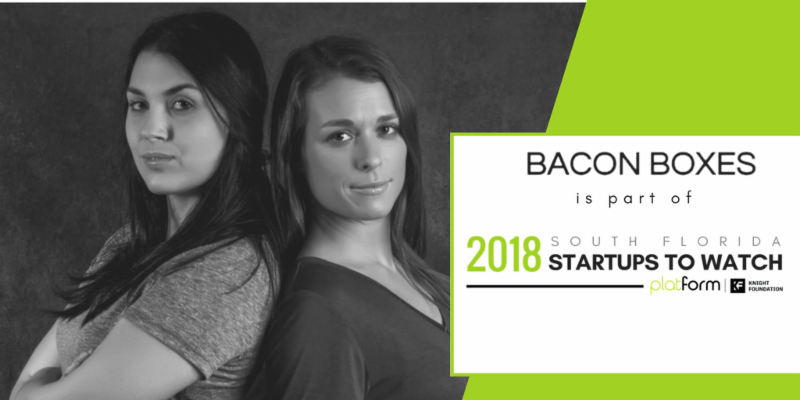 Platform Miami, a Knight Foundation initiative, has selected Bacon Boxes, an FAU Tech Runway company, for their 2018 South Florida Startups To Watch. Bacon Boxes provides farm to box bacon bouquets and bacon roses. They are the first company under Department of Agricultural licensing to offer sustainably produced bacon roses and ship them nationwide. Twenty startups made Platform's list and are chosen based on their impact, uniqueness, substance and traction. The organization's mission is to provide local entrepreneurs access to the startup world's top resources, helping them better structure, setup and scale their companies. To learn more about the organization and view the full list, click below. 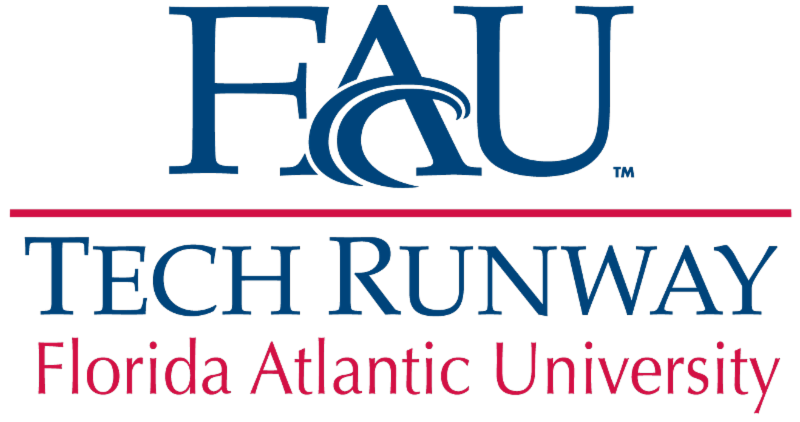 FAU Tech Runway and Gold Coast Venture Capital Association invite you to Meet The Angels , 5:30 – 8:30 p.m., Thur. Feb. 8 at FAU Tech Runway. Meet The Angels is designed to provide entrepreneurs with the opportunity to meet some of South Florida's major angel groups, investors and investment funds. Local entrepreneurs will learn who these organizations are, who to contact, their investment parameters and process. In addition, attendees will learn about current issues related to startup and growth funding. Investors and angel organizations attending the event will gain exposure to South Florida's broader entrepreneurial community and network with fellow investors. Festival of the Arts Boca presents Authors and Ideas with Peter Diamandis , 7 p.m. on Wed. Feb. 28 at Mizner Park Amphitheater. In addition to the keynote presentation by Peter Diamandis, the event will include tables with live demonstrations from FAU Tech Runway's venture class companies and TechGarage. In 2014, Fortune Magazine named Peter Diamandis as one of the World's 50 Greatest Leaders. Diamandis is the founder and executive chairman of the XPRIZE Foundation. He is also the co-founder and executive chairman of Singularity University, a graduate-level Silicon Valley institution that counsels international leaders on exponentially growing technologies. 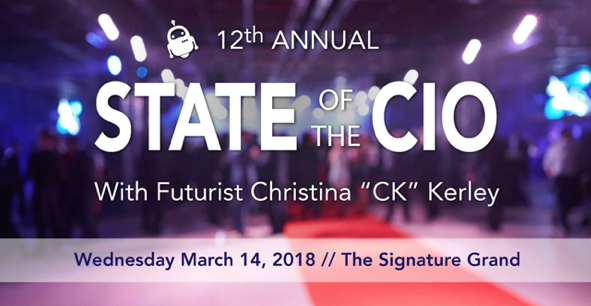 The CIO Council of South Florida invites you to the 12th Annual State of the CIO , 7 a.m. – 12:30 p.m. on Mar. 14 at The Signature Grand in Ft. Lauderdale. The event will feature keynote speaker Christina "CK" Kerley. CK is known for her signature “edu-taining” style, educating and entertaining her audiences with speeches on wide-ranging technology topics and trends. Based in New York City, she has been featured at best-in-class companies, including Verizon, Johnson & Johnson, Microsoft, Amazon, E*TRADE, The United Nations, Best Buy and The Ad Council.